NVIDIA has published a new set of graphics drivers for Linux, FreeBSD and Solaris. R319.17 is a certified driver (like WHQL in Windows’ world), adds the support of GeForce GTX 650 Ti BOOST (as well as other GT 700M series GPUs for notebooks), and brings many bugfixes and improvements. Check the download page for details. If you are under Linux Mint and need some help to install R319.17, just check this article: How to quickly Install NVIDIA R302.11 Drivers Under Linux Mint 13. R319.17 is an OpenGL 4.3 driver and exposes 273 OpenGL extensions (or 272 if the debug bit is not set) as well as 28 GLX extensions. All extensions are the same than R313.18 and are listed HERE. 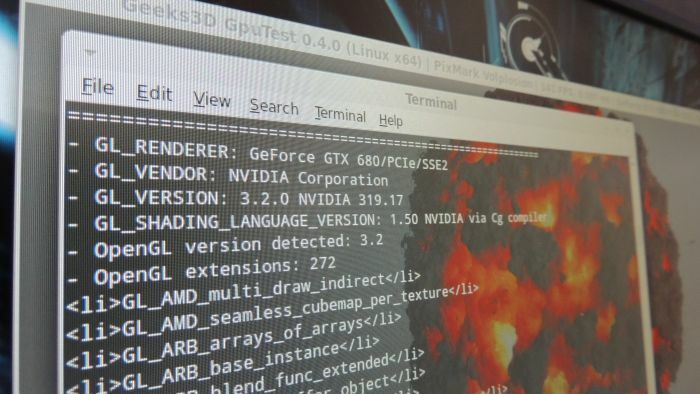 Nvidia has released 319.23 Linux, FreeBSD and Solaris drivers.